HO CHI MINH CITY, Vietnam (Kyodo) -- The head of major Japanese supermarket chain operator Aeon Co. revealed Friday plans to invest some 120 billion yen over the coming decade to open up shopping centers and stores in Ho Chi Minh City and elsewhere in Vietnam. Motoya Okada, Aeon president and chief executive officer, made the remarks at a press conference in Vietnam's southern metropolis to discuss the Aeon group's expansion plans in Vietnam and Southeast Asia. Firstly, he said, the company plans to open in 2014 the Aeon Tan Phu Celadon Shopping Center, to be built in Celadon City in the thriving Tan Phu district, about 7 kilometers west of downtown Ho Chi Minh City, with about 130 specialty retailers. The Aeon Vietnam Co. Ltd, part of the Aeon Group, a major Japanese retail and financial services corporation, was officially opened in HCM City on March 2. 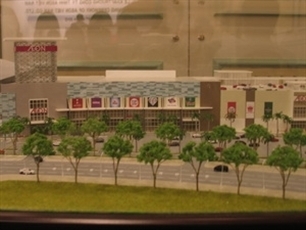 In September 2012, the company will begin construction of the 77,000 square metre Aeon-Tan Phu Celadon trading centre in HCM City with modern infrastructure. Current CEO, Motoya Katsuya is the first son of founder Takuya Okada. Aeon has expanded their business by building large suburban shopping center in Japan. This is based on the founder's motto, "Build shop at where fox and raccoon live"